Sleep deprivation can quickly become a serious problem that impacts every aspect of your life. Many factors can result in a decrease in sleep, including fast-paced lifestyles, medical conditions and medications. While there is no substitute for medical advice from a qualified healthcare professional, the information on LoveToKnow Sleep can be helpful if you're looking to learn more about sleep deprivation. 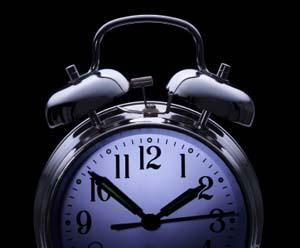 Causes: Find out about the many possible causes of sleep deprivation and how to know when you might need to get help. Effects: Learn about the serious psychological and physical effects of going without sleep for too long. Recognition: Discover how to recognize the signs of sleep deprivation as opposed to simple tiredness. Weight: Get information about the association between gaining weight and being sleep deprived. Reaction time: Find out how a lack of sleep can have a negative impact your reaction time while driving. Student challenges: Learn about why college students often experience this problem and get tips for overcoming it. Research: Educate yourself about what research reveals about this topic through the results of sleep deprivation studies. If you are experiencing sleep deprivation, don't suffer in silence. Seek assistance from a healthcare provider right away. Be frank and honest when discussing your sleep-related issues with your doctor so that you can get the help you need. If your primary care physician isn't able to diagnose or treat the problem, he or she can refer you to a sleep specialist for further assistance.